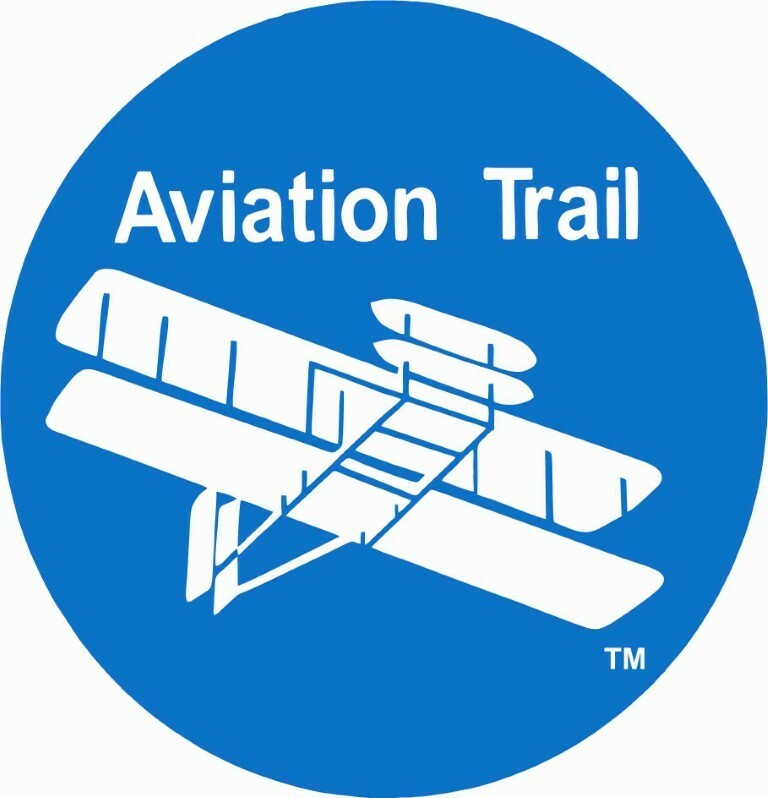 ﻿ Aviation Trail - Ohio. Find It Here. 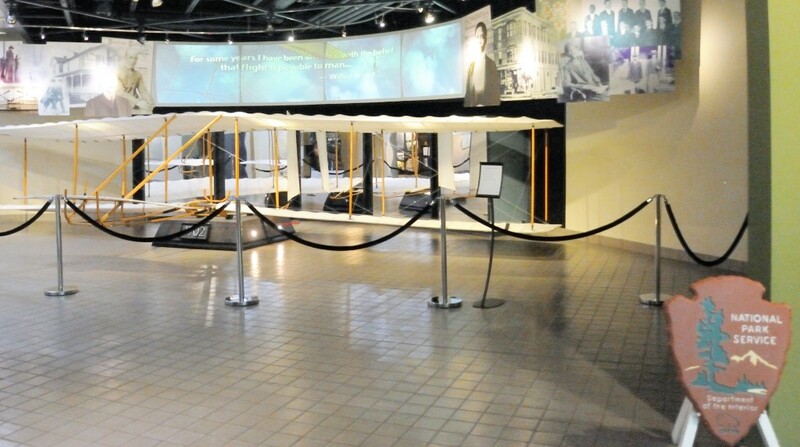 Experience the Birthplace of Aviation  Dayton, Ohio! 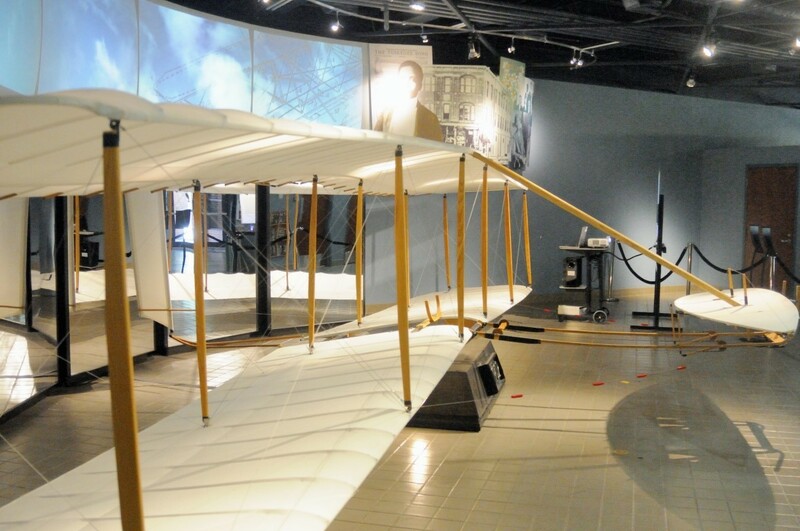 Begin an exciting journey as you follow the AVIATION TRAIL to amazing aviation related sites in Dayton and the surrounding area.The place to start is the Wright-Dunbar Interpretive Center & Aviation Trail Visitor Center in a building where Orville and Wilbur Wright operated a printing business. 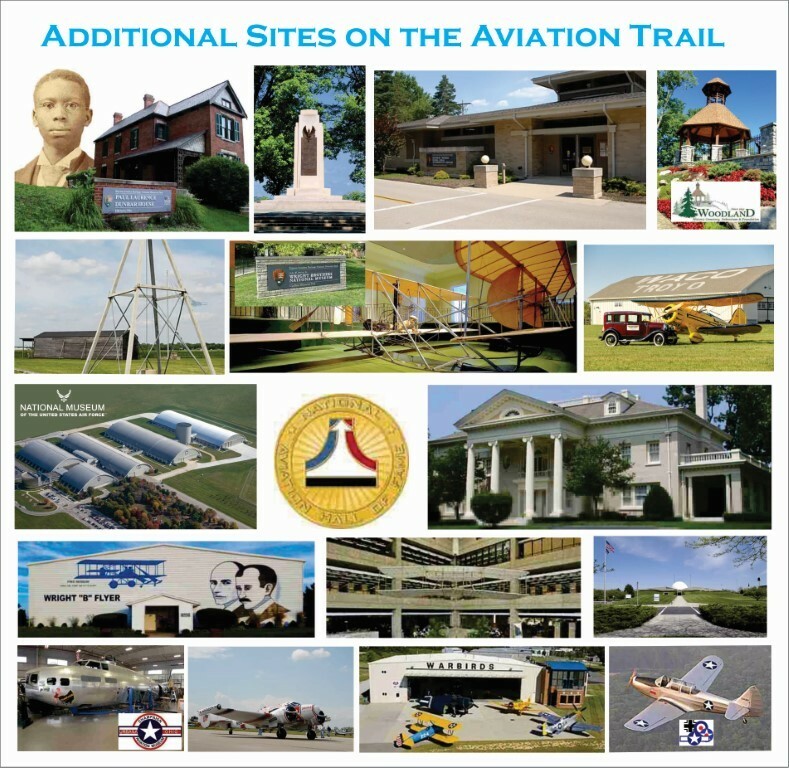 The facility is operated by the National Park Service as part of the Dayton Aviation Heritage National Historical Park. Obtain your passport brochure in this facility and receive your first passport stamp. 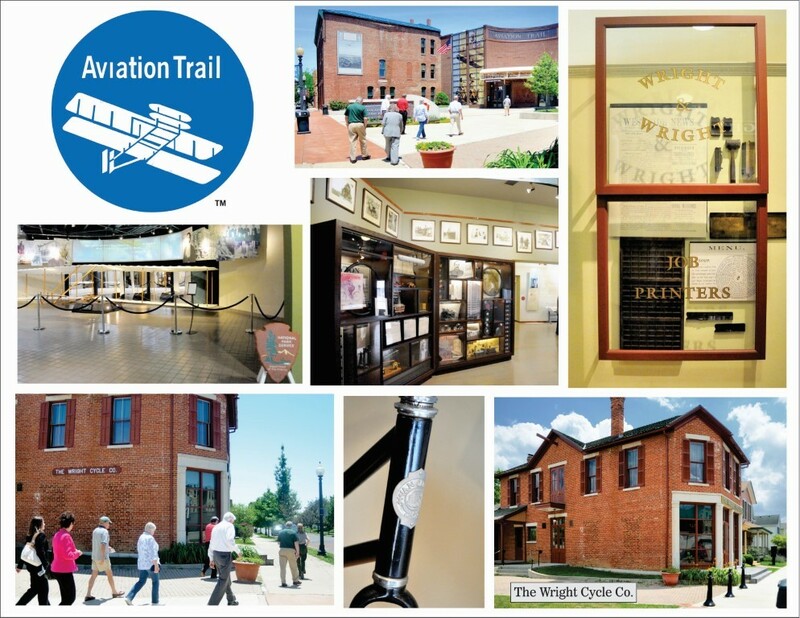 By getting your brochure stamped at a minimum of 7 more of brochures sites, you can earn your own Wilbur Wright aviator teddy bear. One of the printing clients of the Wrights was an author and poet Paul Laurence Dunbar. 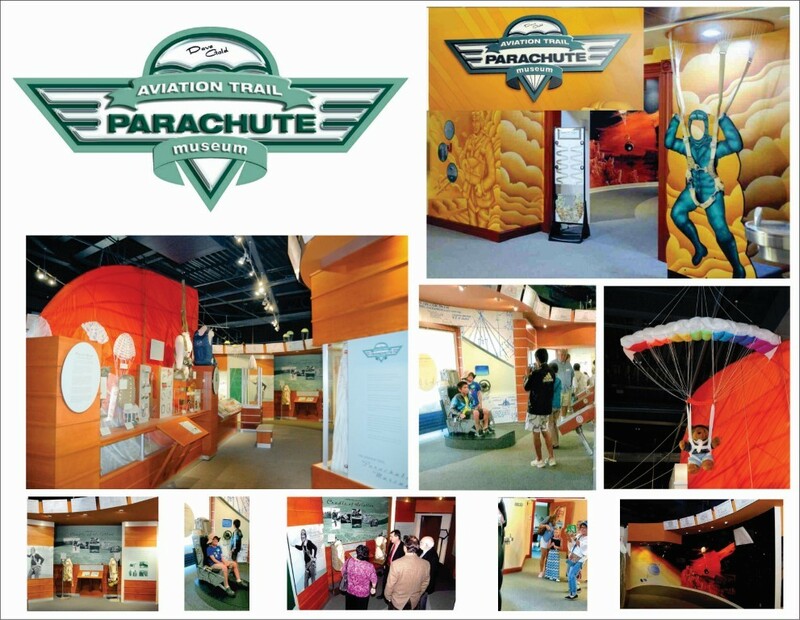 The exhibits tell about the lives of the three men and about the neighborhood in which the building is located.A replica of a 1902 Wright glider is on display, and on the 2nd floor is the Aviation Trail Parachute Museum which tells the story of the development of the free fall parachute from its invention at Dayton's McCook Field. 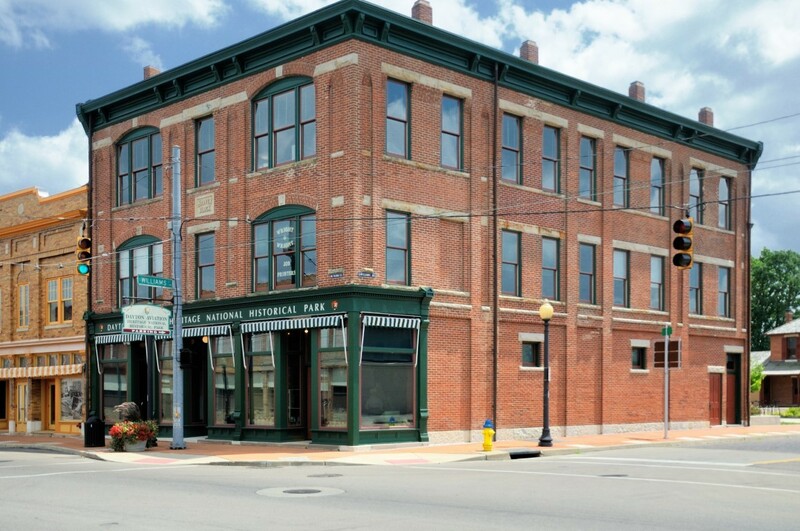 Next door to the visitor center is the Wright Cycle Company in another restored building where the Wrights manufactured bicycles.